A video compilation of time-lapse footage of the Atacama Large Millimeter/submillimeter Array (ALMA) is now available. The video is a collection of time-lapse shots of the ALMA site in the Atacama Desert of northern Chile, showing the synchronised dance of the array’s antennas as they observe the clear night sky circling overhead. The several minutes of time-lapse video show the antennas in various conditions: as night falls and at dawn, under bright moonlight or with the centre of our Milky Way sparkling against the dark sky, and with the glow of lights from observatory vehicles and the antennas themselves. These observations take place against a backdrop of stunning night skies over the Chilean Plateau. The compilation, produced by ESO using footage from ESO Photo Ambassadors Christoph Malin (christophmalin.com), Babak Tafreshi (twanight.org), and José Francisco Salgado (josefrancisco.org), shows only a small cluster of the array’s many antennas. When completed, ALMA will be composed of 66 high-precision antennas spread over distances of up to 16 kilometres — the largest ground-based astronomical project in existence. Although it is currently incomplete, the partial array is already in use collecting astronomical data, as documented in the video. ALMA, an international astronomy facility, is a partnership of Europe, North America, and East Asia in cooperation with the Republic of Chile. 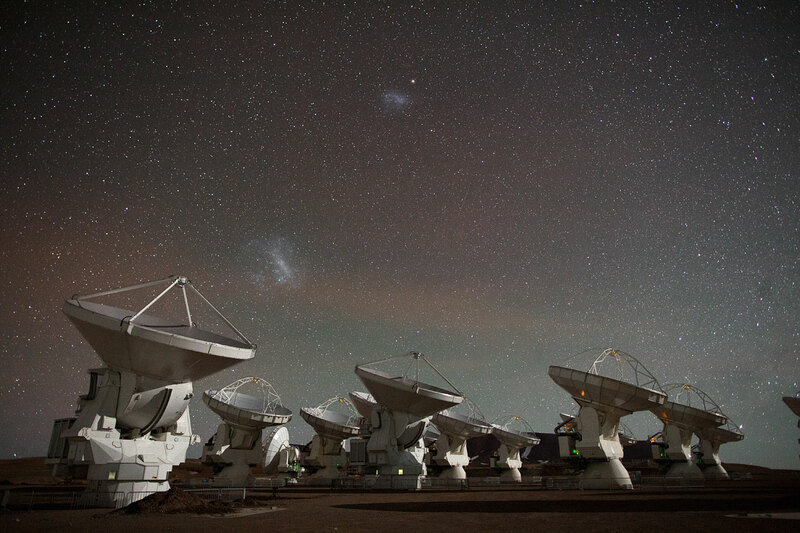 ESO is the European partner of ALMA.